Yesterday I walked into the centro just to stroll around the Jardin and look at the Lana & Laton Feria. Or the Wool and Brass Fair. 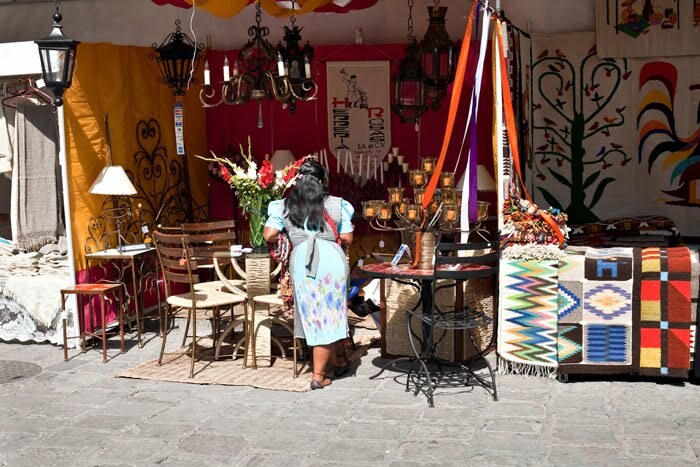 It is an annual event here in San Miguel but they have been setting it up in the Civic Plaza which really doesn't let the vendors show their wares to the best advantage. In the Civic Plaza the booths were smaller, darker and there wasn't much of an aisle through the wren of stalls. It really didn't invite you to "shop." 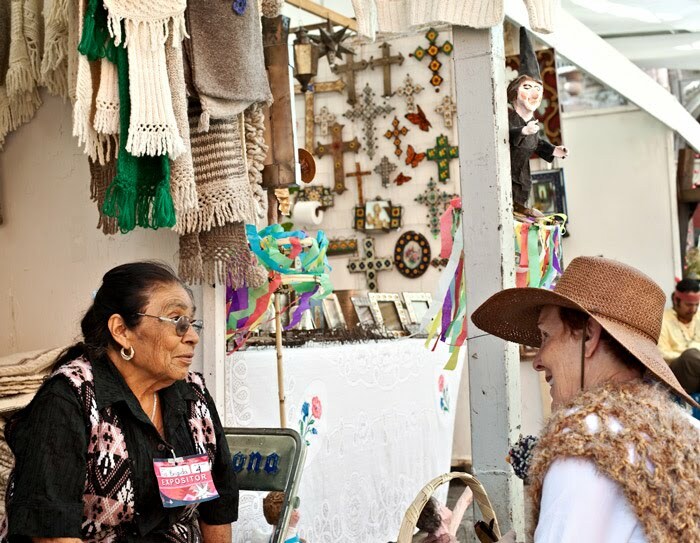 This year the booths are set up around the Jardin and it add a bit of excitement to the Jardin. There were lots of people strolling from booth to booth. Seems like I saw more people sitting in the jardin eating an ice cream cone or eating outside at the restaurants. I also think I'm seeing more gringo tourists in the streets with a guidebook or map in hand. As much as I like the town nice and quiet, I know that having the tourists return is a good thing for San Miguel.